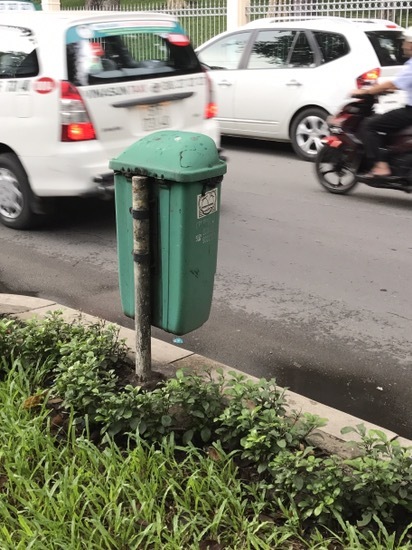 The city provides trash cans in the city, but it seems that they all face the street. I guess it’s convenient. I guess I can picture the thinking of the city planners. When you’re driving down the street at top speed, you often suddenly have to throw out some trash. 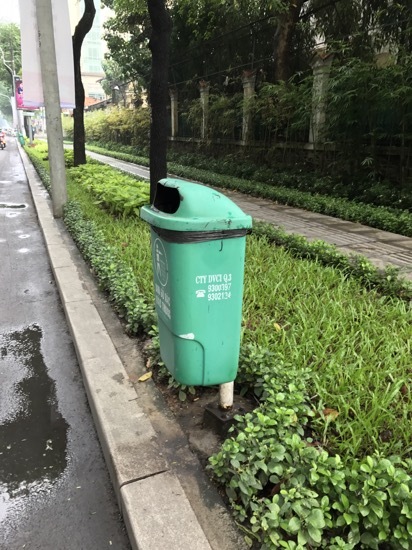 You can break to a stop in these super-crowded streets, open the window, lean waaaaay over the curb, and deposit the trash into the can. It makes sense. Sure it does.